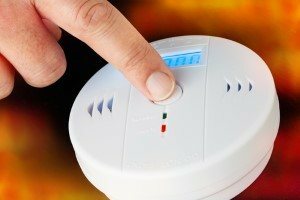 Smoke detectors are a common feature in just about every household all over the country, but what you might not know is that many homeowners either don't have enough of them in their house, don't have them installed in the right areas, or just don't have detectors that actually work anymore. Here at The Best HVAC, we are a State College heating & air conditioning company that cares about the safety of our customers just as much as we care about their comfort in their home, which is why we make it a point to provide local homeowners with the brand new or replacement smoke detectors they need to keep their families safe. When was the last time you tested the function of your home's smoke detectors, or checked to see if you have them where you need them throughout your home? If it has been a while, or your old smoke detectors no longer work, give our team of professionals a call today and let us help you enhance the safety of your home. Here at The Best HVAC, we know that safety and comfort go hand-in-hand, and one of the most important safety features your home has are its smoke detectors. Smoke detectors are an absolutely essential piece of equipment in the home, and are necessary to help provide you and your family with ample warning and time to get to safety in the event of a fire, but like just about any other safety device you can imagine, they need to be replaced from time to time with newer and more efficient models. When it comes to keep you and your family safe, our team of professionals here at The Best HVAC are committed to providing you with the quality services you need, whether that involves installing new smoke detectors throughout your home, heating maintenance, or even furnace repairs to help minimize the risk of a fire breaking out in your home. Give us a call today to schedule an appointment for your service. Like their name implies, duct smoke detectors are small smoke detectors that are situated in your home's air ducts and help to detect and give you early warning when the presence of smoke is detected anywhere in the ductwork areas of your home's heating and air conditioning system. Your home's heating and air conditioning system can see a lot of dust build up over the months where either system isn't in use, and when your system comes back on without that dust being cleared out, particularly in the case with your heating system, it isn't impossible for a stray spark to find its way to something combustible. When you are looking to give your home the absolute best in protection, a duct smoke detector system can be a great way to do so.